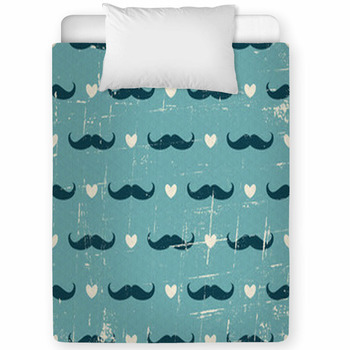 Remind your toddler or baby of their grizzly dad with our comforting mustache baby bedding. 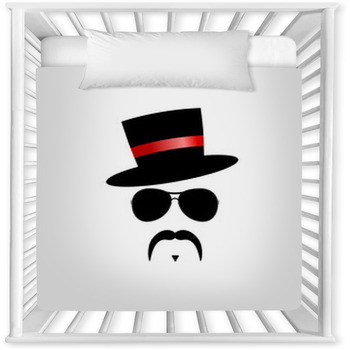 These fun and fabulous toddler and crib bedding items come with colorful displays of your favorite facial hair, the glorious mustache. This style has been around since men have figured out that wearing a big beard isn't the most comfortable for them or their babies. The classy look of mustaches is rugged and yet refined, coming back into popularity everywhere. Many famous celebrities are donning the handsome style and models are sporting them on the high fashion walkways. 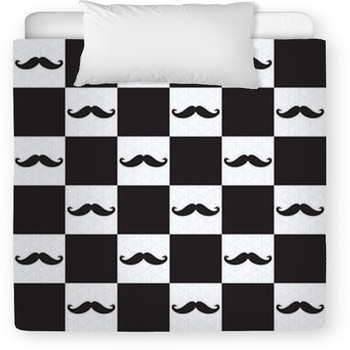 Give your young child's room a fun and fashionable new look with all our mustachioed baby blankets and more. 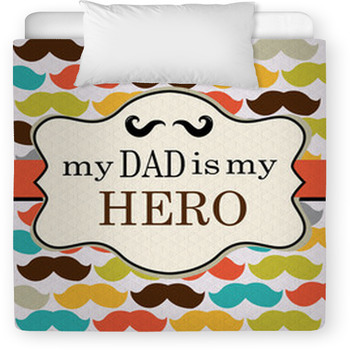 Create a cute new theme for young boys or girls with our crib and toddler bedding showing pastel colored mustache patterns and silly characters. 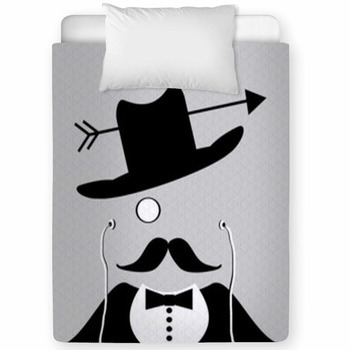 Elegantly drawn drooping mustaches appear in bright colors to create a modern stylish look that has just the right amount of tongue-in-cheek. Some are adorned with matching heart patterns that float by in a cartoon fashion.  Playful characters with top hats, canes and big puffy mustaches will make your young one giggle with delight. Much of our baby bedding comes in soft and light colors that are perfect for young children and are sure to match your rooms interior design style. 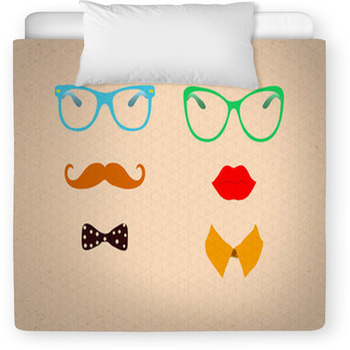 Your baby or toddlers room will be both fun and playful while maintaining a cool hipster look with baby blankets and other matching products. 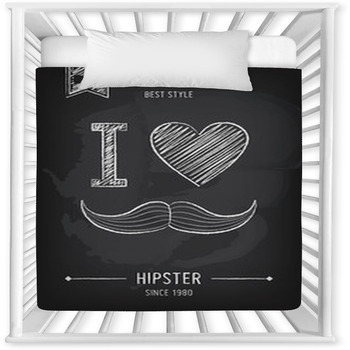 You can decorate the walls with our mustache theme wall murals and wall art. 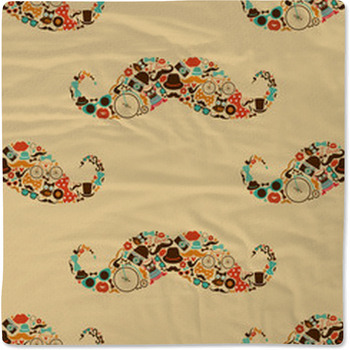 Hang our mustache window curtains or make your own craft projects with our mustache fabric in custom sizes. The hip mustache imagery will make them think of dad, or even grandpa when they see the nicely waxed and curled facial hair in all our favorite style.